The Ms. Pac-Man game at Wicker Park's Emporium Arcade Bar, 1366 N Milwaukee Ave. The Ms. Pac-Man game at Wicker Park's Emporium Arcade Bar. Despite this winter beng unseasonably warm in comparison to Snowmageddons past, social outings for Chicagoans have already begun to dwindle. Nobody feels like bar-hopping in subzero degree windchill, so nights spent hibernating alone in your apartment with Bon Iver records and a body pillow make the bleakest month of the year feel even more depressing. Thankfully, hope exists for those who want to have fun with their friends and stay warm at the same time. While the concept of a "game night" is not a new invention, several Chicago theaters, bars and bookstores have inspired dedicated followings to combat the cold weather blues. The novelty of these events is that your group can stay in one place for the entire night, enjoy an inexpensive activity and also feel incredibly enlightened by the fact that you don&apos;t need modern technology in order to have fun. Emporium Arcade Bar, which opened in March 2012 on Milwaukee Avenue, still reigns as one of the city&apos;s top gaming hotspots. 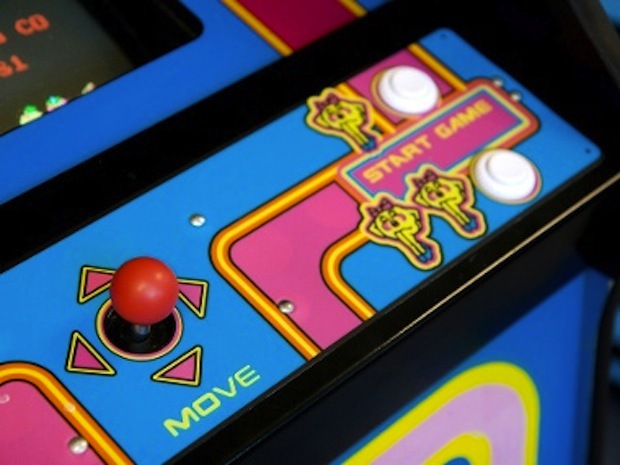 The Wicker Park barcade houses over 35 classic arcade games, including Donkey Kong, Mortal Kombat and AC/DC pinball. Other perks worth mentioning: tokens for 25 cents each, a top-notch whiskey selection, delicious craft beers on tap and a BYOF policy that allows players to bring in food from neighboring restaurants like Piece and Antique Taco. Card game enthusiasts also have a reason to celebrate this season. Cards Against Humanity, a multiplayer game created by a group of Highland Park High School alumni and financed through Kickstarter donations in 2011, is now a huge hit with partygoers nationwide. My friends call it "the raunchy version of Apples to Apples" which is a fairly accurate description. The card combinations can be offensive yet hilarious in a "I can&apos;t believe they just said that!" kind of way, making this game perfect for any social situation involving alcohol. Speaking of, have you ever felt like drinking in a bookstore? At Uncharted Books in Logan Square, game nights are BYOB. Max Temkin (co-creator of Cards Against Humanity) hosts the event every Wednesday from 7 to 9 p.m, providing a selection of euro-style games in a casual, laidback setting. However, expect communal blood pressure to rise when The Settlers of Catan is placed on the table. On the hunt for more vintage board games? Local venues like Lemmings Tavern, Green Eye Lounge and Blue Frog Bar & Grill keep plenty in stock. And at Galway Bay, dive bar devotees can also enjoy free rounds of Nintendo, N64, Sega and Atari. Finally, the most divisive category of all: trivia night. I have witnessed the full range of human emotion at these events: from anger to elation to smashing chairs against the wall in despair. To avoid the crushing humilation of defeat, I suggest that you keep your expectations low (there&apos;s always going to be some Ken Jennings-like savant in attendance who knows all the answers) and attend a theme night of which you are at least somewhat familiar (for example, movie trivia at Logan Theatre for dedicated cinephiles). A great resource for looking up trivia near you is Whaddayaknow Free Team Trivia, which offers rotating trivia nights at various Chicago pubs throughout the week. Whether your team is playing a preliminary round at your neighborhood watering hole or battling Chicago&apos;s sharpest minds at the Tournament of Champions, an evening of adrenaline and excitement is guaranteed. Worst case scenario: you are snowed in and physically can&apos;t leave your apartment. Invite your neighbors (and friends with snow plows) to your place for a rousing game of Clue, Catchphrase or whatever old-school favorite you&apos;ve kept stashed in your closet for years with the hope of one day playing again. No smartphones, no iPads, no mindless TV watching. Just a good old-fashioned game night by the fire.